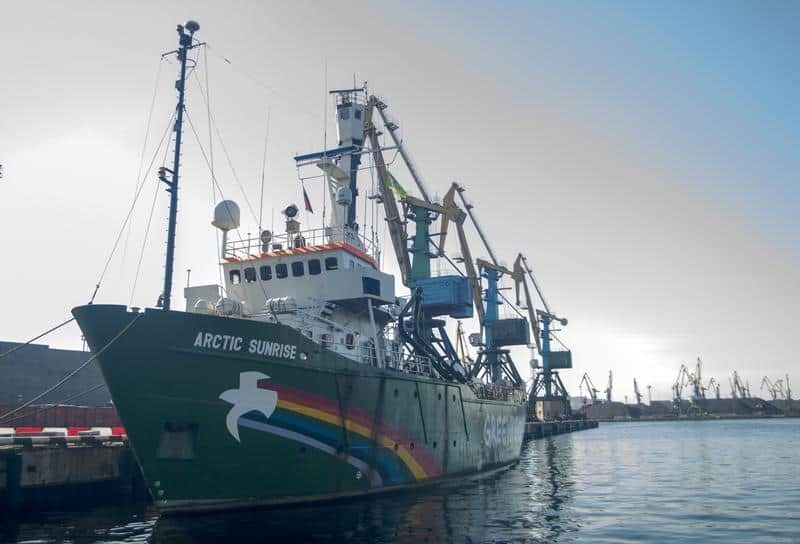 More than 300 days after it was illegally boarded following a high profile peaceful protest against Arctic oil drilling, the Greenpeace ship Arctic Sunrise has finally departed Murmansk, Russia, en route for its home port of Amsterdam. 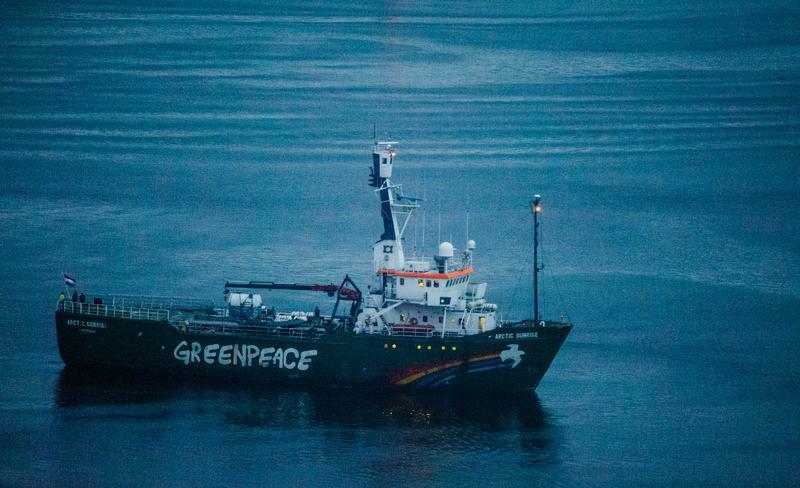 The icebreaker has been held in custody since the 'Arctic 30' were apprehended on September 19th, 2013. 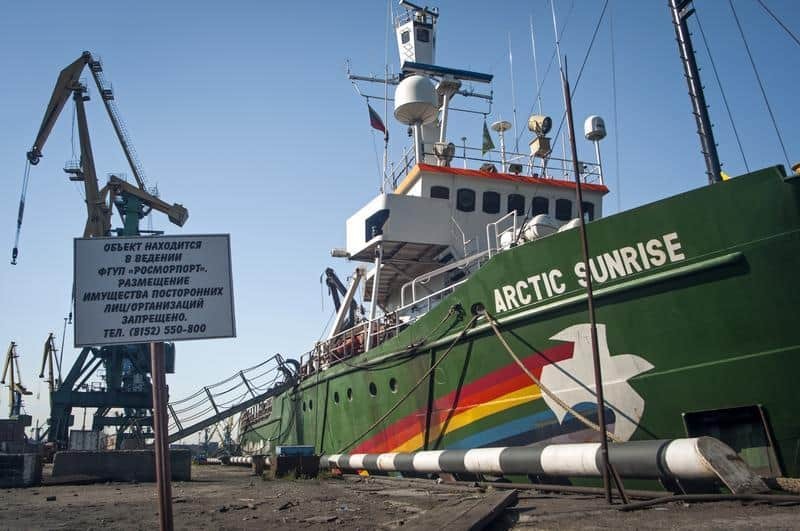 On June 6th, 2014, Russia's Investigative Committee informed Greenpeace International that it was annulling the arrest of the Arctic Sunrise. 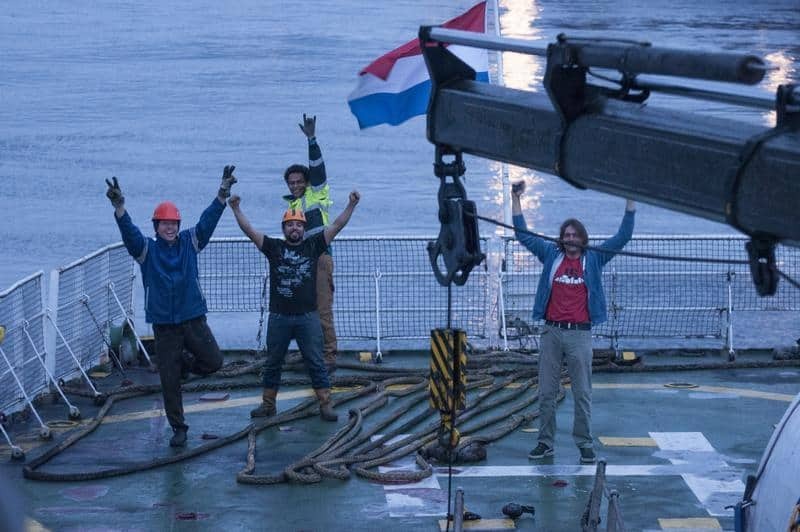 A Greenpeace crew, led by Captain Daniel Rizzotti, finally gained access to the Arctic Sunrise on June 27th, and has spent three weeks making the ship seaworthy, after finding considerable disorder on board. Russia's Investigative Committee recently told Greenpeace that it had extended its investigation into the Arctic 30 case until September 24th 2014, despite the fact that the criminal case against the 30 has been dropped. "The illegal boarding and arrest of the Arctic Sunrise and the ongoing investigation into the Arctic 30 protest was an attempt to intimidate and stifle debate about Arctic oil drilling, but it has only made us stronger", said Oulahsen, who was one of the Arctic 30 members detained in Russia. "Millions of people spoke out against the illegal imprisonment of the Arctic 30. These same millions of people know the planet is warming and that Arctic ice is melting, and will continue to peacefully oppose the reckless pursuit of Arctic oil both in Russia and around the world". The Arctic Sunrise was used as a support vessel during a protest at Gazprom's Prirazlomnaya platform on September 18th 2013. Two climbers attempted to hang a small "Save The Arctic" banner on the platform's side before Russian commandos fired warning shots into the water beneath them and forced them to descend their ropes. The next day, the Arctic Sunrise was boarded and towed to Murmansk. All 28 activists along with two freelance journalists were arrested and charged with piracy and then hooliganism. The Arctic 30 were released in November 2013, and the 26 non-Russians left the country on or around December 27th 2013, following the adoption of an amnesty law in the Russian Duma. On July 18th 2014, Greenpeace International was informed that Russia'’s Investigative Committee would further extend its investigation into the Arctic 30 case until September 24th 2014, despite a criminal case against the 30 being dropped last December. On November 22nd, 2013, the International Tribunal for the Law of the Sea ordered Russia to 'immediately' release the vessel upon the posting of a €3.6 million bond by the Netherlands. The bond was posted by December 2nd 2013. In March, the Arctic 30 submitted their cases to the European Court of Human Rights. The 30 individuals are requesting "just compensation" from the Russian Federation, and importantly, a statement from the independent Court saying that their apprehension in international waters by Russian agents and subsequent detention were unlawful. The European Court has the power to hold Russia to account for the months of uncertainty the Arctic 30 faced in Russia. While held in detention centres they lived with the fear that they could spend years locked up for a crime they did not commit. The European Court has jurisdiction over matters involving alleged human rights violations committed by Russia’s government. In many cases Russia's government has been found liable for such violations and ordered to compensate victims. Ultimately, this case aims to ensure Russia lives up to its human rights commitments.